Boulder Beauty Bar brings together the sophistication of city hair styling with the creativity and funk of Boulder, Colorado. Welcome to Boulder’s very own Beauty Bar. Though small in size, this quaint studio is expansive in experienced creativity and customer service. 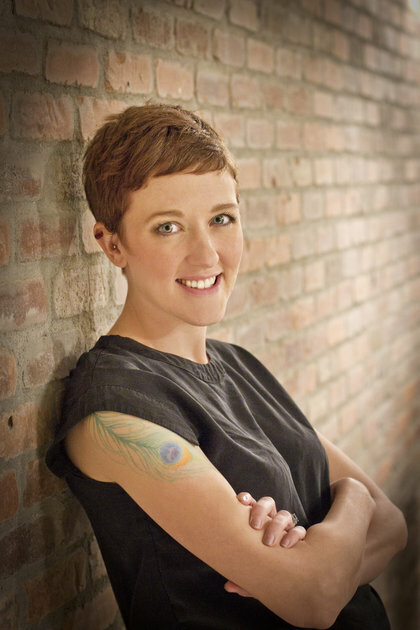 After 9 years of experience as a hairstylist in New York City and a total of 13 plus years of experience Jenna Scheidenhelm has found a home in the Boulder Beauty Bar where she can hone in on her talents and bring together the sophistication of the city with Boulder’s very own fun funk! Whether its “business professional” or “unicorn” that describes your style we can help you fine tune it and keep it modern, stylish and more importantly YOU! Years of extended education and travel is reflected in the work at the Boulder Beauty Bar. Education and keeping up with the latest trends in not only hair styles but hair care products are key to the success of Jenna’s long time career. The love of the industry has taken Jenna to major cities in Europe including Milan and Berlin, where she studied styles and techniques, attended hair symposiums and participated in photo shoots. After spending her career working on sets and fashion shows Jenna was ready for a new challenge. With a big move to beautiful Boulder CO she decided to open her own shop. When she found Sola Salons she knew that it was the perfect shell for her new home. The Boulder Beauty Bar was created with love. It’s a home away from home filled with inspiration and a means to work together to create. From cuts to colors to hair therapy, the Boulder Beauty Bar is a place of magic and expertise in yet the most simplistic form. The passion for hair has lived in Jenna her entire life and she feels incredibly fortunate to be able to live and work in this industry and to now have a studio where the only purpose is to create individualized styles and to see her passion out from beginning to completion is a dream. Everything from trimming fringe to color makeovers are exciting and done with special care, holding the clients experience as top priority. Technology has made running a salon business easy! With the help of Schedulicity, online booking is a snap and all major credit cards are accepted. Of course we understand if you just need to talk to an actual person, in which case you can email Jenna or text/call her directly. No question is a dumb question and we love to receive photos of new potential hair! Healthy hair has always been Jenna’s main concern when creating a look and that has carried over to the Boulder Beauty Bar. Using Wella Professionals hair color accompanied by Kevin Murphy hair care you can change your color without changing the integrity of your hair. The Boulder Beauty Bar is proud to be using and selling animal cruelty free and clean products. Kevin Murphy products provide the moisture that is essential to living in this climate without weighing down your hair as well as being environmentally conscience and clear of all parabens and sulfates. Kevin Murphy’s wide range of styling products off everything from firm to flexible hold, moisturized curls, to static free smooth hair all while offering heat and environmental protection. 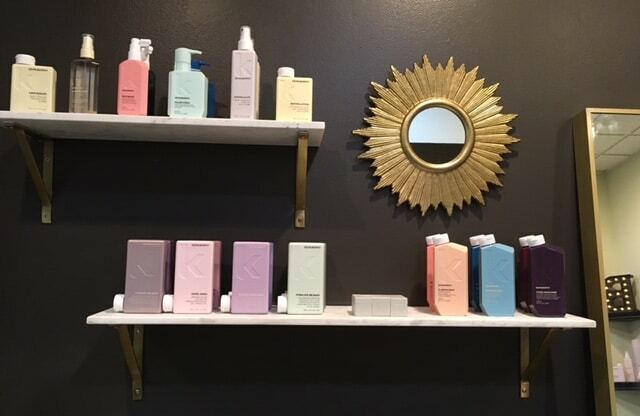 Kevin Murphy also offers an array of hair care products including shampoos for fine to coarse hair and everything in between. They have included treatments not only for those with chemically damaged hair but those who are dealing with dry brittle hair due to aging. All of these products are again animal cruelty free, paraben and sulfate free and safe for color and chemically treated hair. The Boulder Beauty Bar is also proud to be working with Wella Proffesionals. Wella is still voted favorite color line and lightener of hair stylists across the nation. With its moisture rich colors it delivers beautiful shine in over 50 shades of both permanent and semi permanent hair colors. Wella supplys the Boulder Beauty Bar with permantent hair color, semi permantent hair color, 2 lighteners as well as their own fashion shades making your color options endless. Being a top brand in the hair color industry, Wella is able to keep up with all color trends and stay competitive with changing formulations allowing you to give your locks both luxury and style. The Boulder Beauty Bar has all that your hair and style need! Join us on your hair care journey and give your mane what it deserves. We look forward to serving you and your hair!